As per the sources from Valve, it has been confirmed that the first batch of Steam Machines will be available on stores by November. But those who have pre-ordered are expected to receive them by October itself. System designers like CyberPower and Alienware are the first two companies that will be coming out with the sale of the first version of Steam Machines. While other manufacturers of Steam Machine are expected to roll out their models in later months. All the versions of Steam Machine function on Linux version with their big picture genre of interface called SteamOS. Steam Machines are able to support those games only, which are compatible with Linux. It means that they will be able to support nearly 1000 to 1200 games which are about to launch and are compatible with Linux. Valve is still continuing its work to add Direct Linux assistance to as many as games possible. The Steam Machines are available at a price range from $449 to $1499. The Steam controller will be costing $49. The Steam Link is available for a price of $49, which enables the machine to establish connection between your TV and your PC. The Steam Machine that costs $449 comes with an Intel Core i3 4130T DC processor. It is supported by nVidia GeForce GTX with 4GB TAM. The hard disk capacity measures to be 500GB with a 7200RPM HDD. It has also got a 1*1 802.11 wireless card along with a Steam Controller. The variant that costs $549 functions on Intel Core i3 4130T DC processor with the support of graphics card of nVidia GeForce GTX. It has got a RAM of 8GB. The hard disk capacity comes to be 1TB with 7200RPM. It has also got 1*1 802.11 wireless card with a Steam Controller. The model that costs $649 gives you a processor from Intel family with Core i5 4590T QC. It is supported by a graphics card from nVidia GeForce GTX. It has got a RAM of 8GB. The hard disk can hold upto 1TB data with 7200RPM. Unlike the previous models it has got a 2*2 802.11 AC with a Steam Controller. The machine with the price tag of $749 comes with more advanced processor from Intel of class i7 4765T QC. It has got a graphics support of nVidia GeForce GTX. This version runs on a RAM of 8GB with 1TB hard disk capacity along with 7200RPM. It has got 2*2 802.11 AC along with Steam Controller. The users are allowed to upgrade their Alienware Steam Machines, but this upgrade cannot be done to its graphics chip. Dell confirms that custom built chips performs at almost the same level as GeForce GTX 860M. Generala Manager of Alienware and XPS Dell, Frank Azor said that they have joined together with Valve and GameStop to make out an ideal platform with apt performance, value and content, the best that is available in the market. The pre-ordering of Alienware Steam Machines, Steam Link and Steam Controller has already started from June 04 by GameStop and Steam. they have promised that these pre-orders will be fulfilled by the month of October. Dell officials have asked Polygon to inform the customers regarding the fulfilling date of their pre-orders. According to Valve, certain other retailers involved in taking pre-orders are GameStop, EB Games, Micromania, Game UK and Steam. Another company that offers the Steam Machines for the time being is CyberPower. They are going with their pre-orders from the last day. These are expected to fulfill the delivery by the month of November itself. 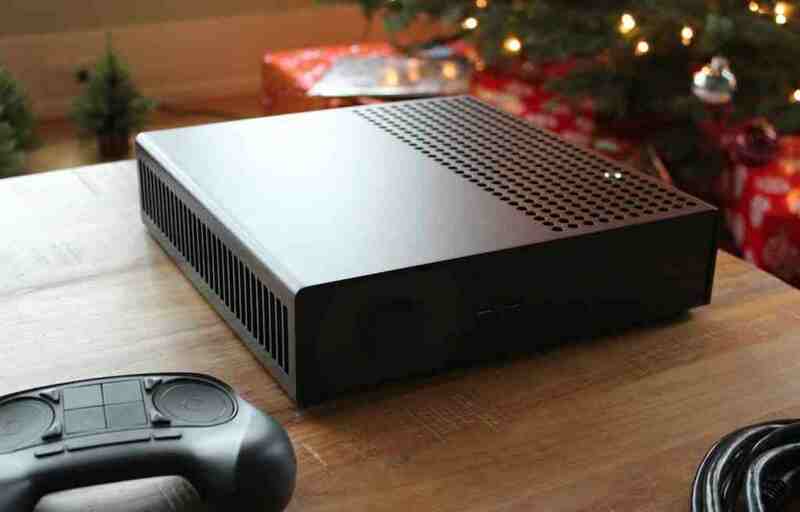 If the sources are true, these Steam Machines will be available on shelves by the month of November this year.